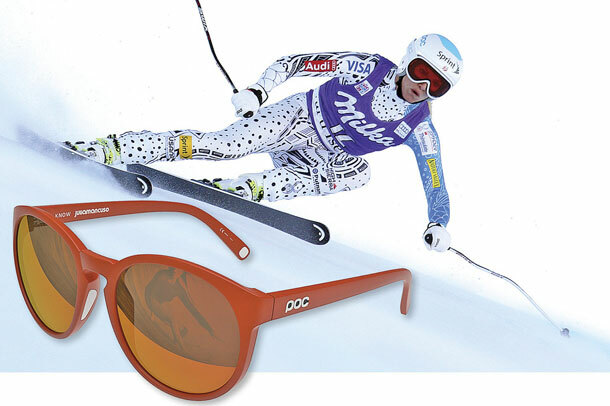 These zippy matte-red shades from ski goggle experts POC are named after Julia Mancuso, the alpine ski racer and Olympic gold medalist from Squaw Valley, California. She’s got the moves, and at least you can imitate her off-the-slopes style with these tough yet flexible frames: Hydrophilic rubber keeps them on the bridge of the nose but, best of all, the Zeiss nylon lenses offer crisp contrast in both low light and high glare. Mind those flashbulbs, now.